Today, we released improvements to our Know Your Customer (KYC) document upload experience that give merchants better clarity about what documents they need to provide and about the review status of uploaded documents. To comply with financial regulations, WePay must collect and verify KYC information from all merchants before we can pay out any funds in their WePay account to their bank account. The vast majority (95%+) of merchants are verified in real-time on submission of their information. 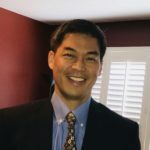 However, if there is an issue, WePay asks merchants to securely upload scans or images of specific physical documents, such as a passport or government issued ID, to help verify the merchant’s identity as quickly as possible. 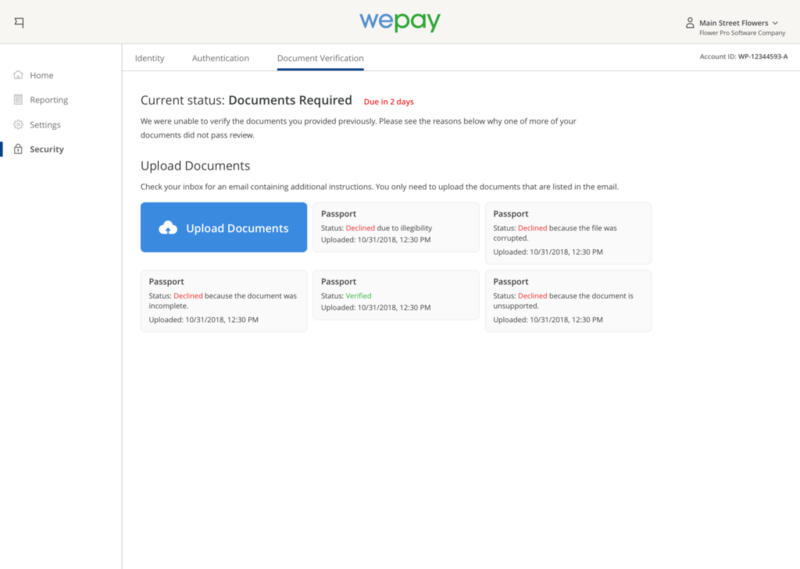 WePay reviews the documents and most merchants are approved and fully onboarded within 48 hours. 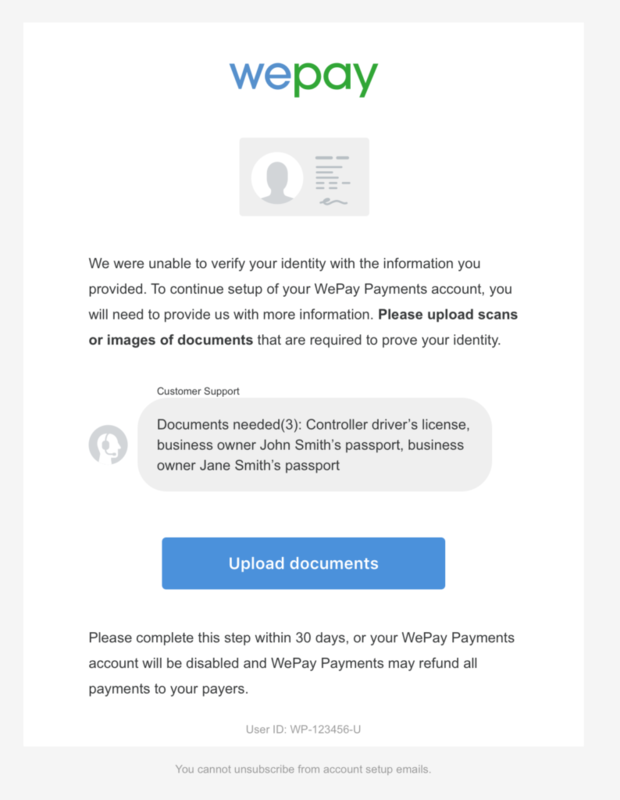 We have also refreshed the email template used to communicate the need for document uploads to more prominently highlight the custom messages that WePay Risk Analysts include in emails to guide merchants through the onboarding process. We are committed to continuously improving the overall experience for our merchants, and these improvements to the document upload process will help merchants get onboarded more smoothly.